One of the greatest advantages of incorporating granite into your home’s design is that it brings its own unique element to your décor that cannot be readily achieved by any other means. Given that this is a natural rock, mined from the earth, granite features its own unique striations and patterns that add a layer of depth and contrast to any room. When you are choosing a white granite countertop to complete a space, you’re not getting a uniform, solid color in that space – but instead a feature which brings the natural art of nature into your home. At K & J’s Custom Granite, we have experience with marrying a homeowner’s vision with not only the color, but also the right style of granite that is sure to compliment the ambience of the atmosphere that they are trying to create in any room. This often means sourcing granite from different parts of the world to ensure that the right grain, pattern and texture is selected for the new construction or renovation project at hand. White River Granite – As the name suggests, White River Granite offers a look as though a river’s current is running through your countertop – immortally frozen in time. White Ice Granite – Similar to the ice surface on a frozen pond, white ice granite gives the appearance of a fused layer of ice atop a lake with various channels throughout the span of the stone. 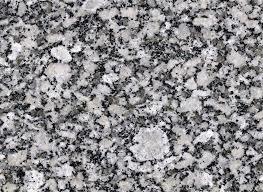 Kashmir White Granite – This white granite stone offers the smoothest appearance of all varieties for this color scheme. Imagine looking at the smooth sand in the middle of the desert, blown about in long, smooth waves and you’ll have an idea about what this choice offers for your kitchen. Santa Cecilia Granite – For a more formidable finish, Santa Cecilia granite resembles a rock face of a mountain you might see at the seaside. Often grouped with the spectre of selections for homeowners considering white, this variety isn’t actually white itself, but is often included as it offers a warm finish that is preferred by some homeowners. Giallo Ornamental Granite – This variety is popular for homes with white cabinetry with brown flooring and accents, as the earth tones that speckle through this stone give it a degree of warmth and a natural, untouched finish that contributes to the tone of the room. Alaska White Granite – This variety of granite features probably the greatest percentage of contrast throughout the stone. While primarily white, it does offer a more “industrial” feel than many other varieties of granite. Delicatus White Granite – This stone is a popular choice for homeowners that feel they would like a lot of contrast and depth in their granite. Similar to the Giallo Ornamental, this type of granite offers a strong contrast that offsets the base white color. Are you thinking that white granite is the right choice for your next design project? We would love to show you samples of the granite we have in stock and allow you to compare for yourself what would work best for your space. Drop in to see us, drop us an e-mail or give us a call and put our expertise to work for you.